Joe is one of the biggest Minnesota Vikings fans on the planet and also follows the Twins, Wild, Wolves and University of Minnesota Gophers. It’s in his blood, BUT he’s also a huge Husker fan and has had the opportunity to be at several Husker Football Bowl games and National Championship Games. Many home football Saturdays you’ll find Joe hosting or attending B107.3 tailgate parties at the Embassy Suites! Go Big Red! Away from the radio station, he enjoys spending time with his wife and kids. They have a high schooler and middle schooler who keep them busy with their school events and extra curricular activities. As a family they enjoy swimming, biking, camping, hiking and exploring our national parks! One of their biggest achievements is reaching the top of Colorado’s 14,259 ft. Long’s Peak mountain! Talk about a view! Joe loves to play golf whenever he can and enjoys playing softball. He’s proud to be a Black Belt in Tae Kwon Do, and has been a home brewer since 1992, brewing up my own beer, root beer, and the occasional cream soda. He’s also been playing the drums since the age of 10 and recently has been learning to play acoustic guitar. 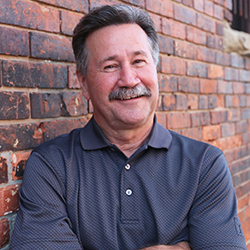 In addition to hearing Joe on the air every morning, you may have heard him endorse these businesses: Tico’s Restaurant, Lincoln Electric System, People’s City Mission, A1 Cabinets & Granite, Pearle Vision, and Culligan Water Systems.